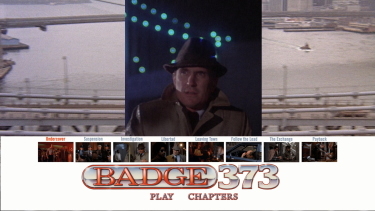 Description: Badge 373 is a crime thriller in the tradition of "The French Connection" and "Serpico". 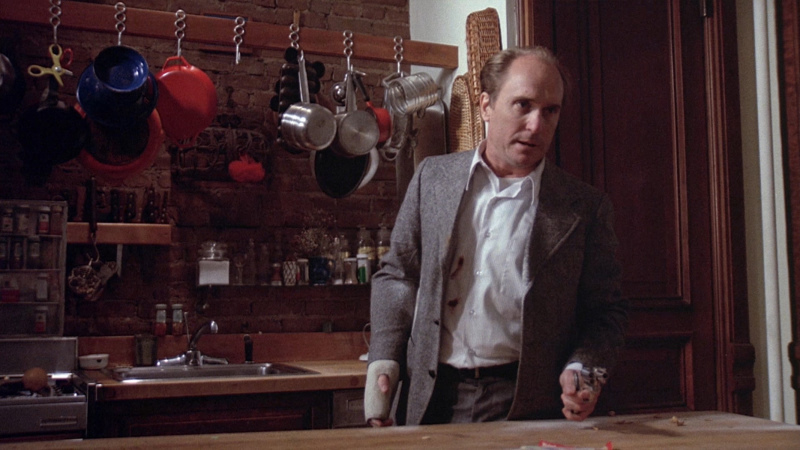 Eddie Ryan (Robert Duvall), a tough, no-nonsense and abrasive Irish cop, has to turn in his badge after scuffling with a suspect who then falls to his death from a rooftop. 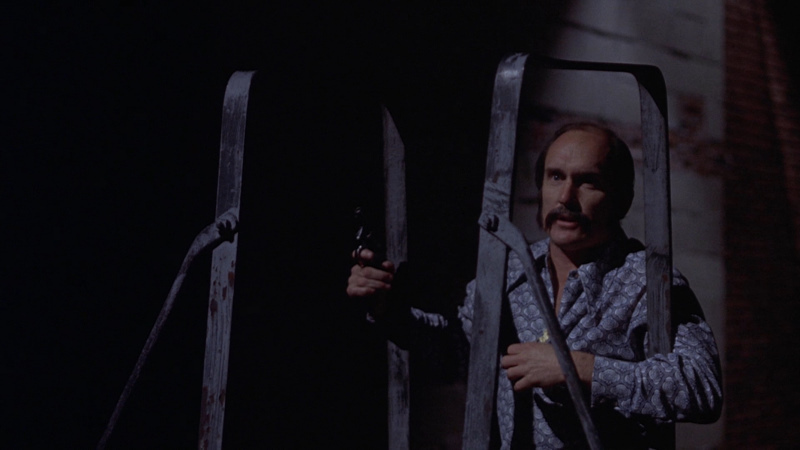 But that doesn't stop him from heading out on a one-man crusade to avenge his partner's murder, all the while neglecting his new live-in girlfriend, Maureen (Verna Bloom). 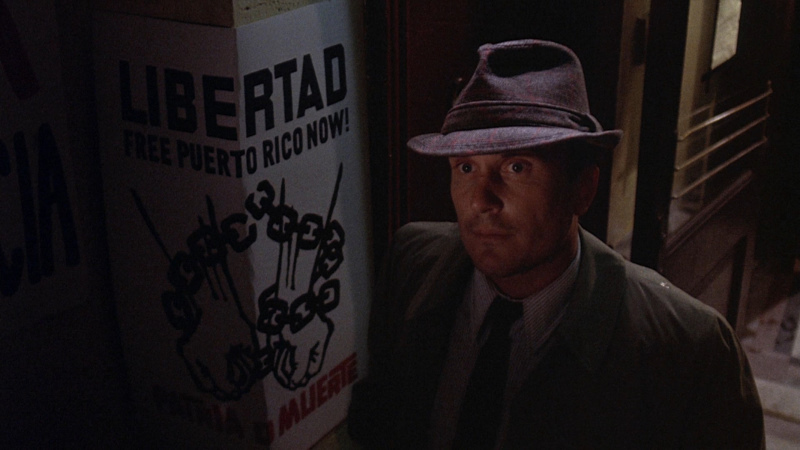 Ryan's investigation leads him to Puerto Rican drum kingpin, Sweet Willie (Henry Darrow), and the shipment of guns for the Puerto Rican Crime Syndicate. Real life policeman, Eddie Egan plays Duvall's Lieutenant. Screenplay by journalist, Pete Hamill and directed by big-time Hollywood producer, Howard W. Koch. 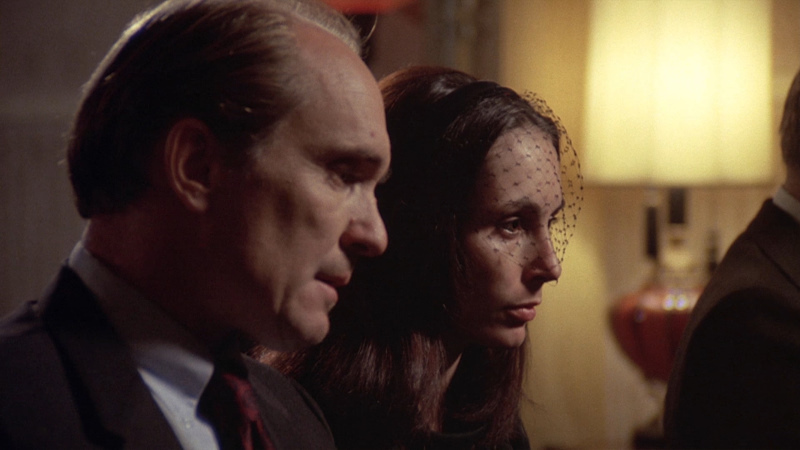 If it's strange to find an intelligent and thoughtful crime movie, it's stranger still to find two of them - and back-to-back at the same theater. 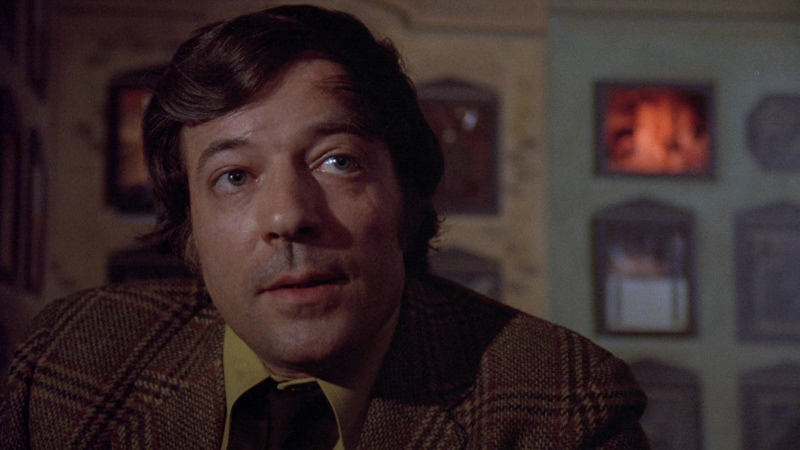 "Badge 373," based on the adventures of New York detective Eddie ("The French Connection") Egan, has followed "The Friends of Eddie Coyle" into the United Artists. 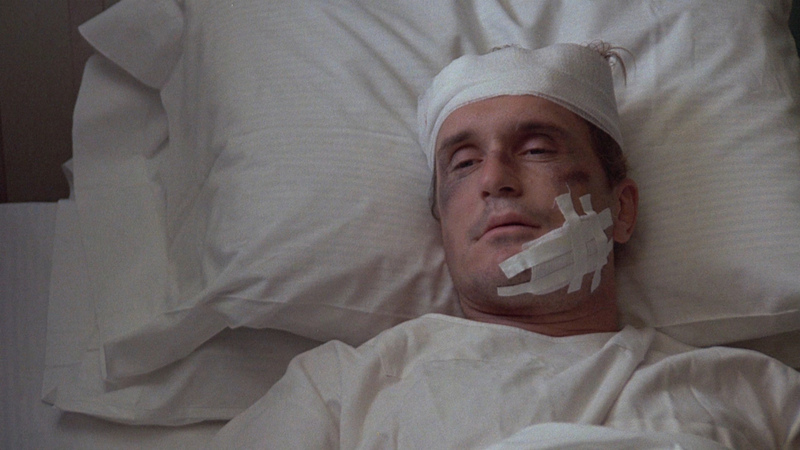 And it's a tough movie with some interesting things to say about cops-and-robbers morality. It's based on Egan's adventures, I guess, in roughly the same way that "Lady Sings the Blues" was based on the life of Billie Holiday: The facts have not been allowed to get in the way. I can believe, for example, that Egan really did set out to find the killer of his partner. But I somehow doubt that their final confrontation came hundreds of feet in the air on a crane in the Brooklyn Navy Yard, and that the killer had a machine-gun as well as several philosophical points to make about the Puerto Rican experience. 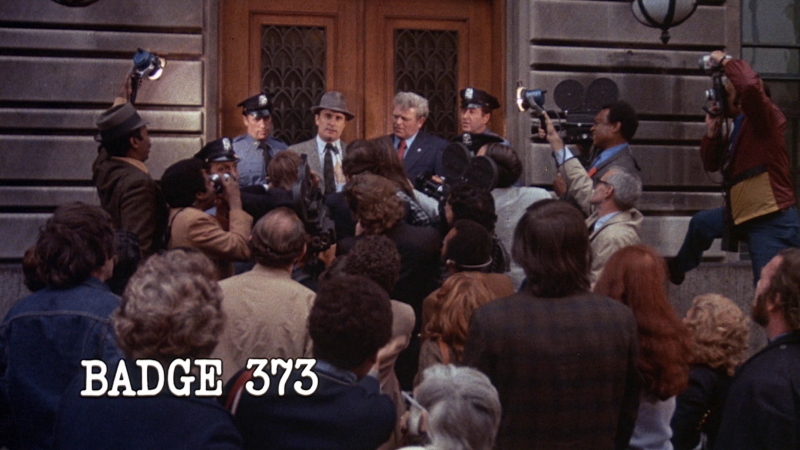 Egan appears in a supporting role in Badge 373 as a police lieutenant while Robert Duvall plays Egan, renamed Eddie Ryan here due to the fictitious nature of some of the narrative. 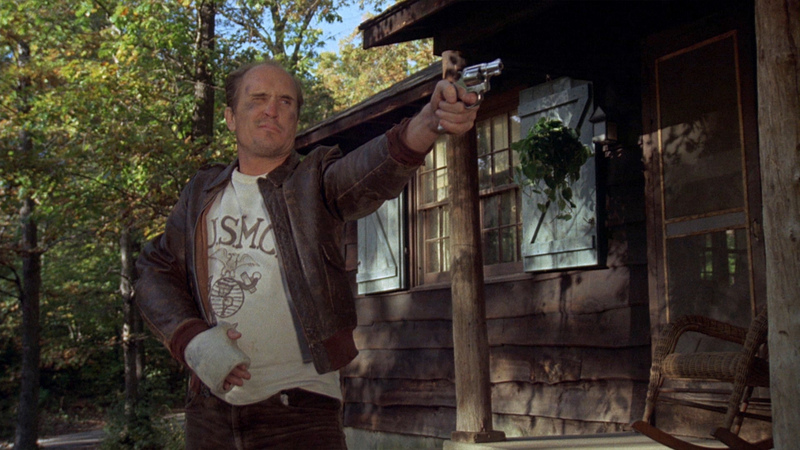 Like Hackman, Duvall portrays Eddie as a tough, unrelenting, crude and often violent cop who will use any means necessary to get his man. In this case, it's Sweet Willie (Henry Darrow), a Harvard-educated, Puerto Rican drug czar whose crime syndicate has influential links to the rich and powerful as well as political activists and the NYC community. 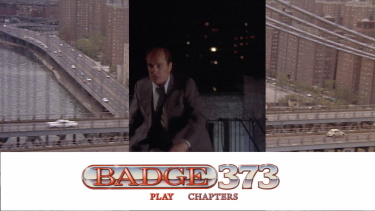 When Eddie's partner is killed in an undercover drug investigation, Eddie turns in his badge (numbered 373, Egan's real badge number) and goes on a one-man vigilante mission to get the man responsible for the murder. 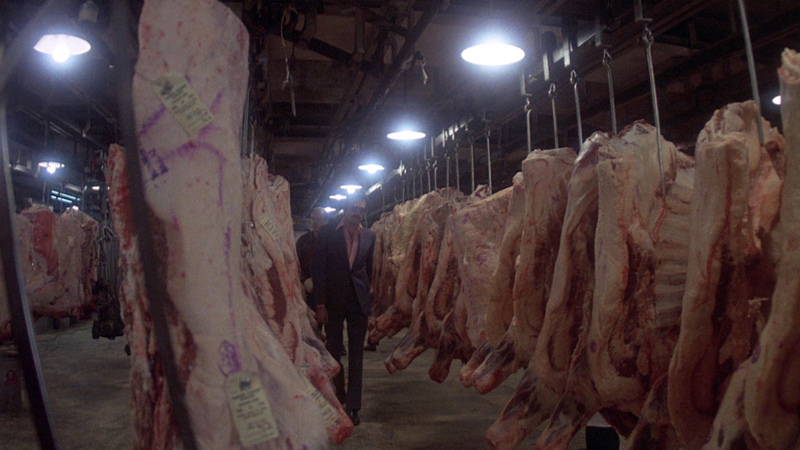 Ryan behaves like a bull in a china shop for the course of the film, starting with an opening drug bust in a Spanish Harlem disco and proceeding to a rooftop beating of a Puerto Rican suspect (who falls to his death), a police brutality charge, confrontations with various prostitutes, pimps, drug dealers, armed henchmen and angry radicals, and a climactic fight atop a crane in the Brooklyn naval yard. 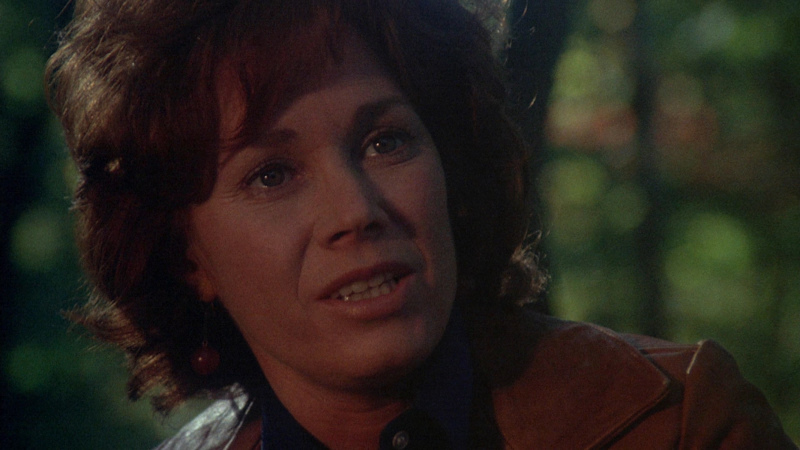 All the while, Eddie's current girlfriend Maureen (Verna Bloom) is left waiting on the sidelines, hungry for a little time alone with Eddie that she never seems to get except for a brief getaway to the country which, of course, is short-lived. No, Badge 373 is all about loyalty and honor and in this case, the code requires revenge for a partner's murder - nothing else matters. 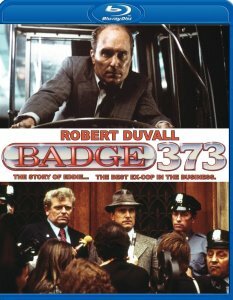 Badge 373 looks surprisingly strong on Blu-ray from Olive Films. It still supports much of the intensity, darkness and grain from the 70's but looks reasonably impressive in terms of detail. The day-lit scenes even showcase some depth. Remembering the film itself was quite dark and brooding I suspect this 1080P transfer does its job well in replicating that atmosphere. There is some texture here which is also notable and there is little-to-no noise. It is single-layered but a reasonable bitrate for the 2-hour film. The HD image, and the film itself, were both superior to my expectations. The 1.85 has been converted to a 1.78 aspect ratio. Olive Films remains authentically mono with a DTS-HD Master 1.0 channel at a lowly 830 kbps. With Badge 373 being, pretty much, J.J. Jackson 's only composition credit for original music it might be looked at somewhat critically but I liked the uniqueness and thought it did a good job supporting the film - that gets plenty of work outside of the famous bus-chase scene. The lossless audio has no strong attributes but seems competent. There are no subtitles and my Momitsu has identified it as being a region 'A'-locked. Consistent for Olive Films there are no supplements. 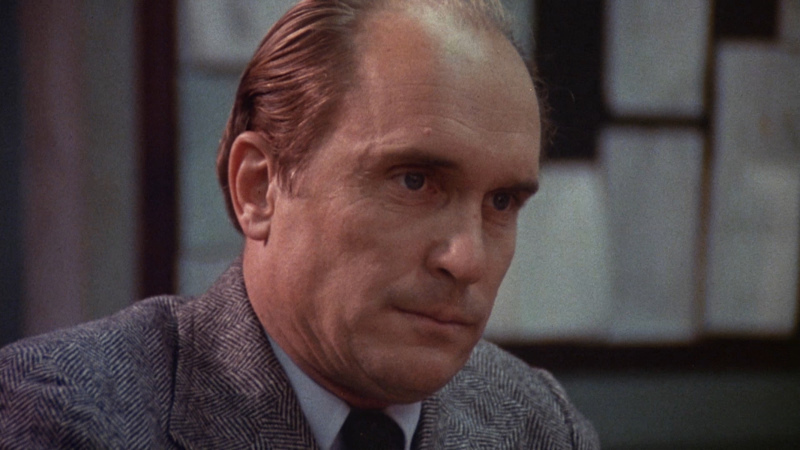 Duvall is such a great actor - I could watch any film he is in. As an action/thriller this isn't too shabby. 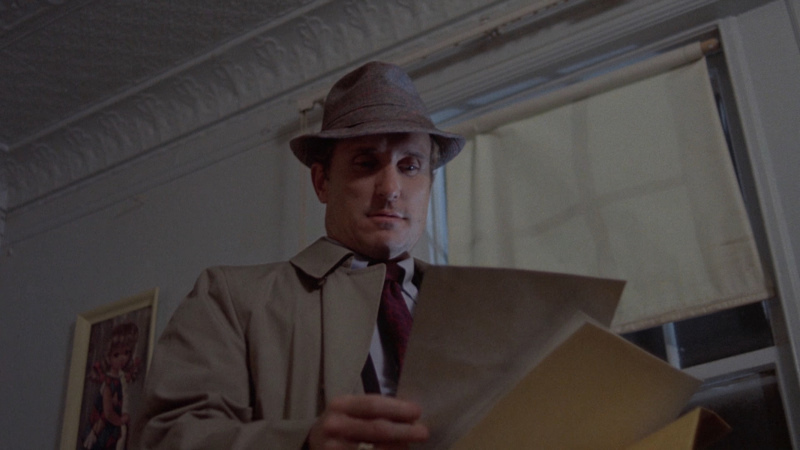 The edgy 70's grit-factor support some accolades but I'd say without Duvall - this would be half the movie it is. I felt this was much better than I was anticipating from online comments. 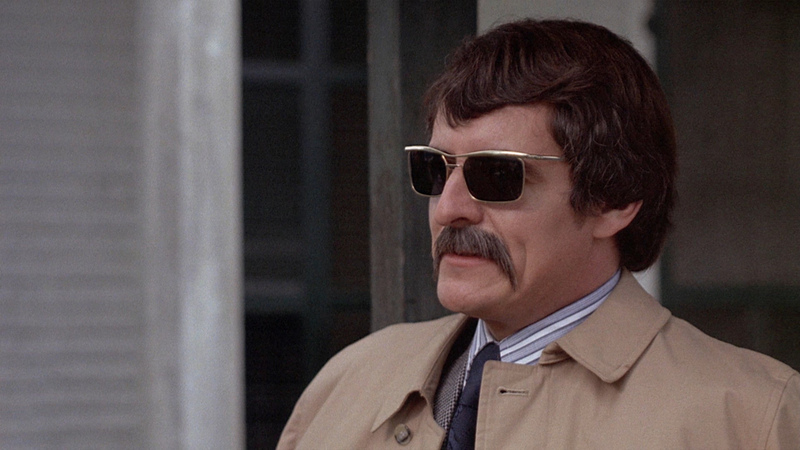 Quite a neglected police thriller. The Olive Blu-ray isn't a demo disc but I appreciated the film and the consistent, thick, presentation was part of that enjoyment. Hopefully others might give this a chance and be as pleasantly surprised. Thumbs up.